Family Planning in a family-owned business focuses on preserving family relationships. Essentially, business and financial differences will erode family relationships - it is only a matter of time. In order to offset that dynamic, family businesses are encouraged to build and preserve the emotional equity of their family while simultaneously building the equity of their company. Family meetings are an important ingredient in this process and are designed to help the family preserve its legacy, build family rituals and have effective communication about both family and business issues. There are three types of meeting you need to have in a successful family business. They include shareholder and board meetings and only members of the family who are either shareholder or members of the board get to attend those meetings. The second type of meetings are employee meetings and only family members who employed by the family business get to attend those. 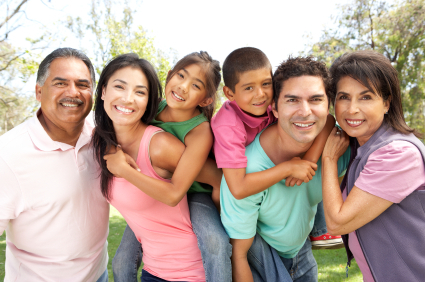 The third type of meeting are Family Meetings and everyone in the family is invited to attend those meetings. Specifically, Family Meeting are designed to manage the boundary between the business and the family and keep the business and financial differences, which are normal, from eroding family relationships. At the same time, they keep family issues, family concerns and family politics that are a part of all of our families from upsetting the business. Family business meetings are an integral part of the change process for family-owned businesses. They provide an opportunity for the family to build a shared vision for the future, to meet and discuss relevant issues regarding the business and to prevent the business from eroding family relationships. Often these are half-day or day-long off-site meetings which offer family members an opportunity to reflect, share and build understanding away from the demands of the business. Initially, they are professionally facilitated in the context of the program, but most family businesses quickly establish their own leadership and continue to meet on a quarterly basis or as needed. Legacy development and family history is designed to memorialize the important family values that have guided the family to success and the important family stories that need to be told to future generations of the family. If you are looking for more information about our family planning services please click on the blog link below or simply Email us, call us at 612.375.0640, or fill out our contact form.